Search over 142,286 elected offices across the USA. Have you ever thought about running for office, or know someone who should? You’ve come to the right place for the tools, skills, and knowledge you’ll need. Right now, our database is limited. We need your help to get every office in the U.S. searchable - volunteer today. Use the address search above to find the offices you are eligible to run for, with all the information you need to get on the ballot. 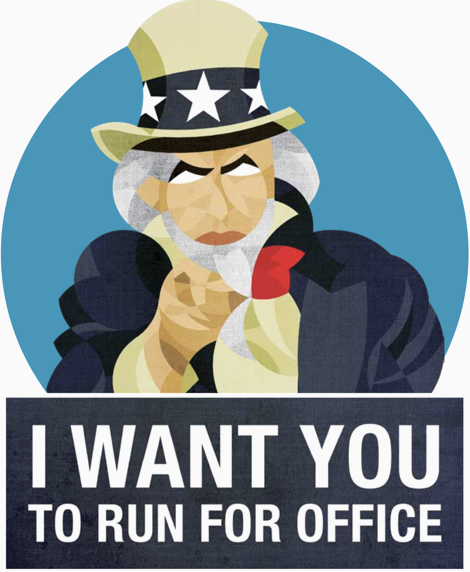 Take the free online course: How to run for office. Get a free voter file with all the voters in your district. Start a 14-day free trial of NationBuilder, leadership software designed to help you win your election.